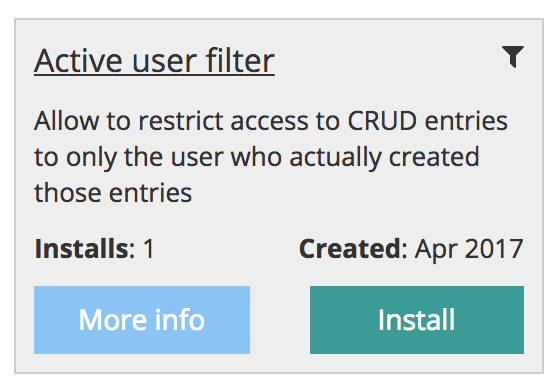 Another new long-awaited feature is filtering the entries by their authors, in other words – kind of a multi-tenant application where users see only the data they entered. Now we have a module for that! Let’s see how it works. 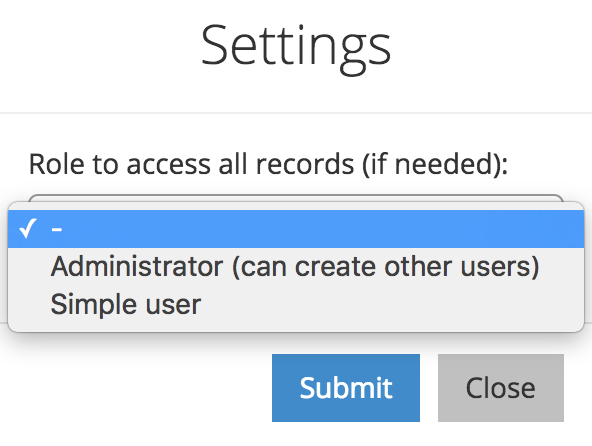 Before installing, you can choose one setting – which role will access ALL the data. 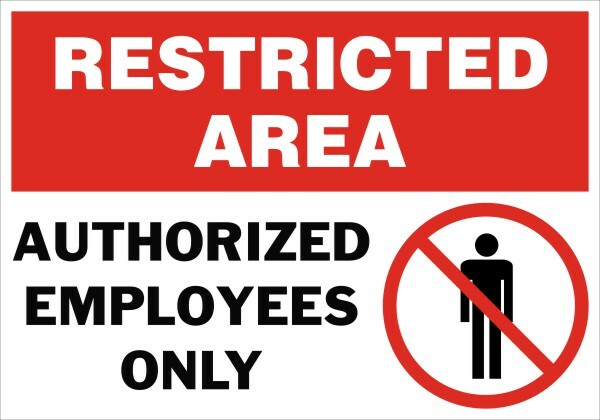 Basically, which role will be the “admin” and the exception to the rule. Now, in online version of the generator, nothing will actually change, because you’re logged in as the only user of the system. But the “magic” happens after you download your panel. 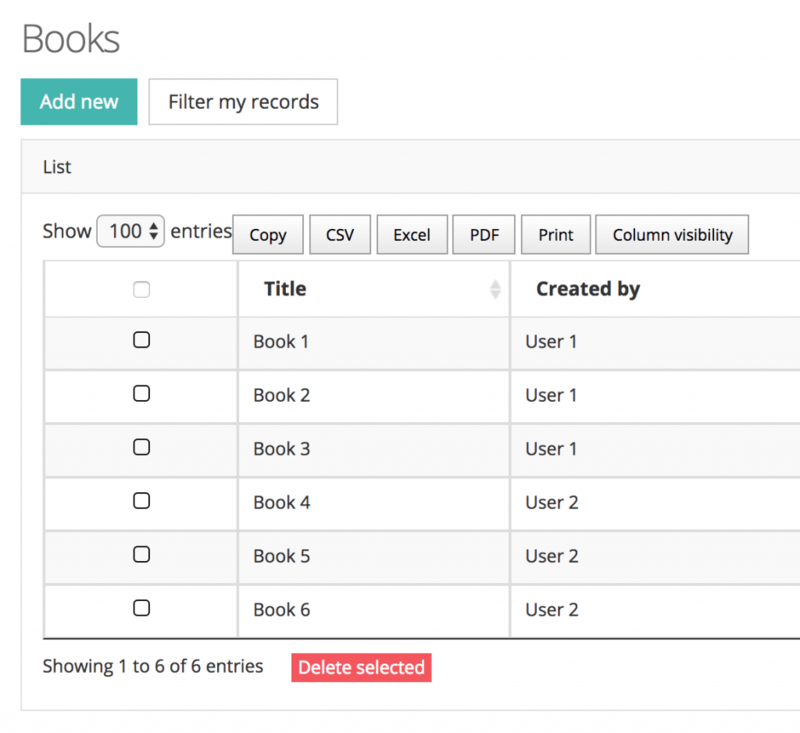 And let’s log in with User 1 and add a few entries in Books. As you can see, there’s a column Created by that shows the actual user. 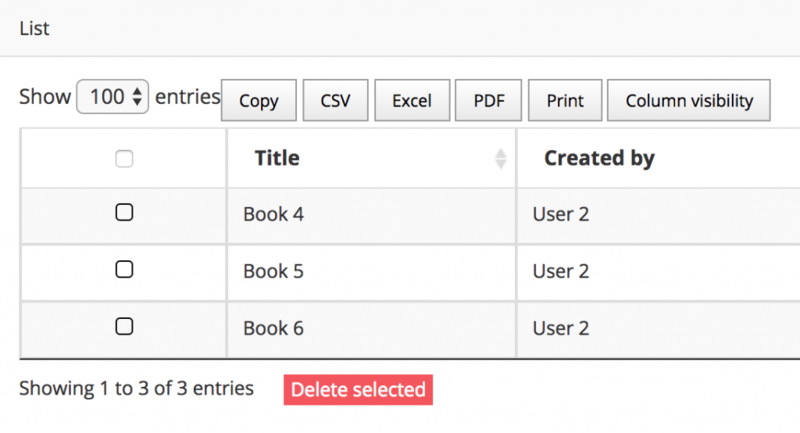 Now, let’s log in with User 2 – his Books list should be empty, so he doesn’t see User 1’s entries. And if we add a few entries, he will see only his own books. Finally, in case when admin himself wants to create a few books and is an active participant in the system, there’s a button on the top – see Filter my records. So they are able to see “only their” records, or all of them, like here. 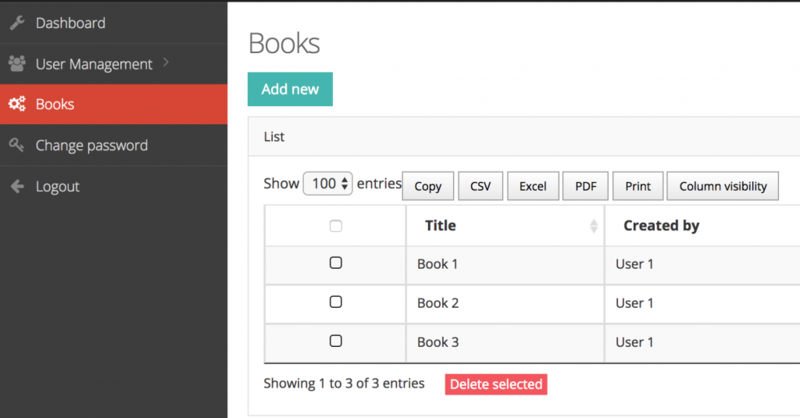 We hope that this functionality will open new possibilities for structuring your admin panels by users or even teams, giving the access only to what they need. Try it all out at by logging in to QuickAdminPanel.com!